The Alpe di Siusi is one of the most popular and most beautiful ski resorts in South Tyrol, and on our farm Goldrainerhof you will live right in the heart of this unique winter holiday destination. 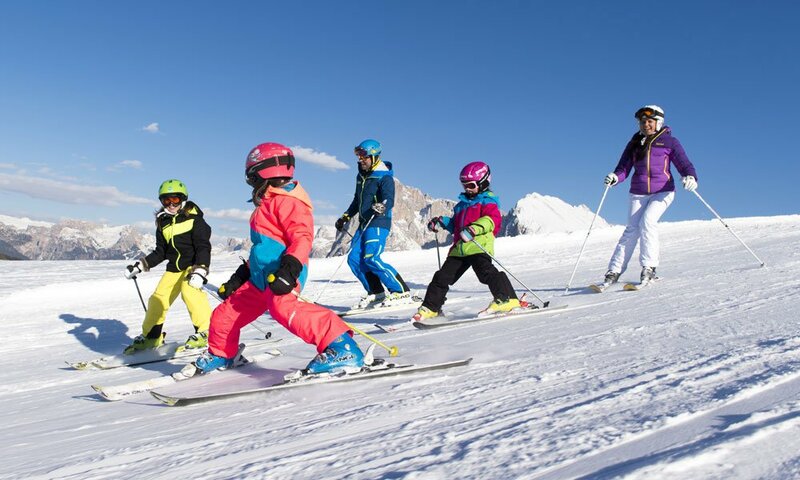 From Castelrotto you and your family can conveniently venture into fabulous winter sports adventures: ski and snowboard fun, great cross-country slopes, joyful tobogganing and pleasant hikes. 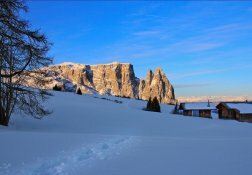 But also all those guests who are looking for a festive atmosphere and romantic winter evenings, at Alpe di Siusi are in good hands. 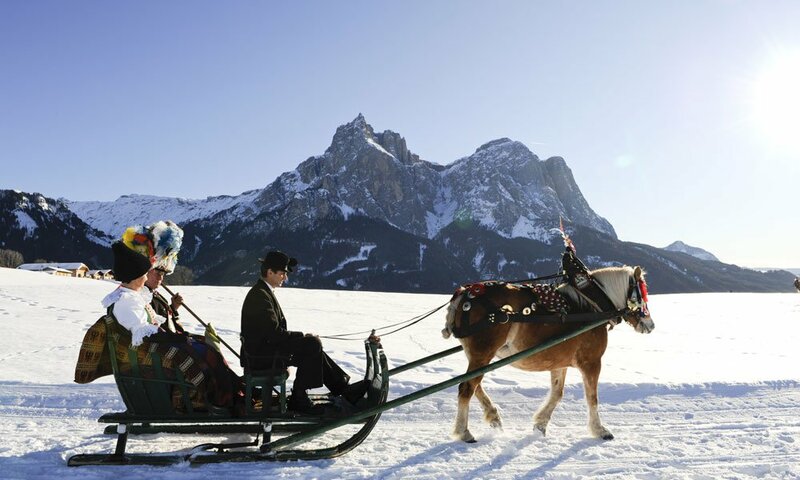 Long horse-drawn sleigh rides or a visit to the magical Christmas Markets in the nearby towns promises winter magic at its best. 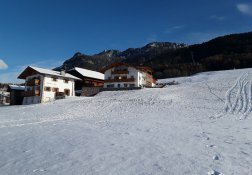 The ski area Alpe di Siusi is without doubt one of the most beautiful winter sports resorts in South Tyrol. 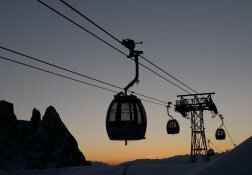 About 60 km of slopes await visitors. 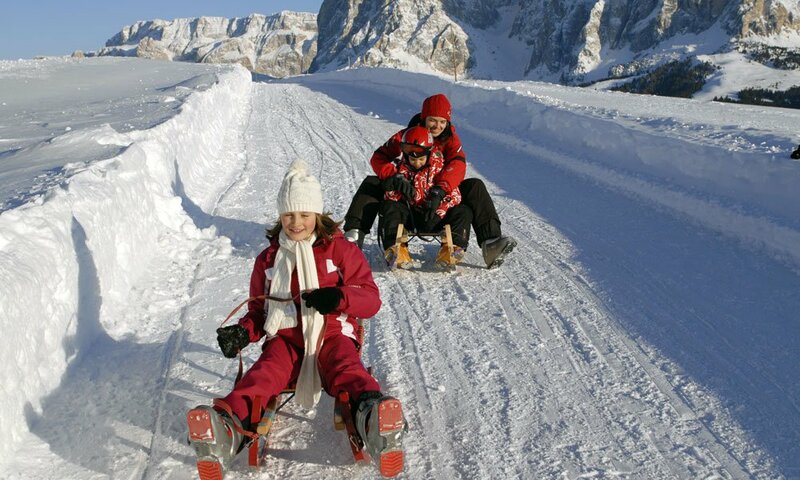 Especially families will findoptimal conditions on the Alpe di Siusi! 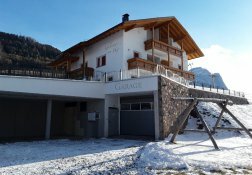 Child care, ski school and toboggan fun keep boredom at bay. Rustic mountain huts serving the finest South Tyrolean specialties guarantee hours of fun. 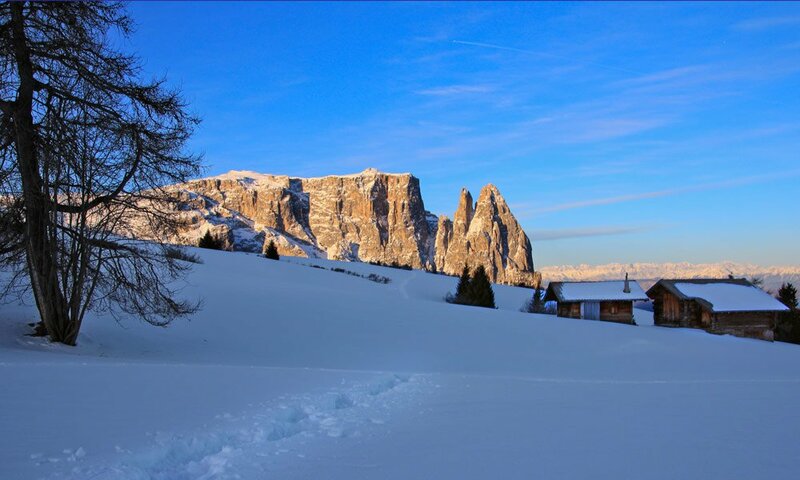 Those who are looking for an even greater variety and besides the Alpe di Siusi would like to discover also other slopes can visit the Sella Ronda. 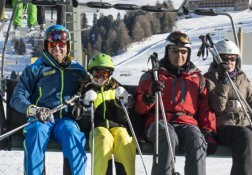 The four ski areas of the Sciliar massif can all be conquered without having to unbuckle the skis. With the ski pass “Dolomiti Superski” you can take advantage of the largest skiing carousel in the world. 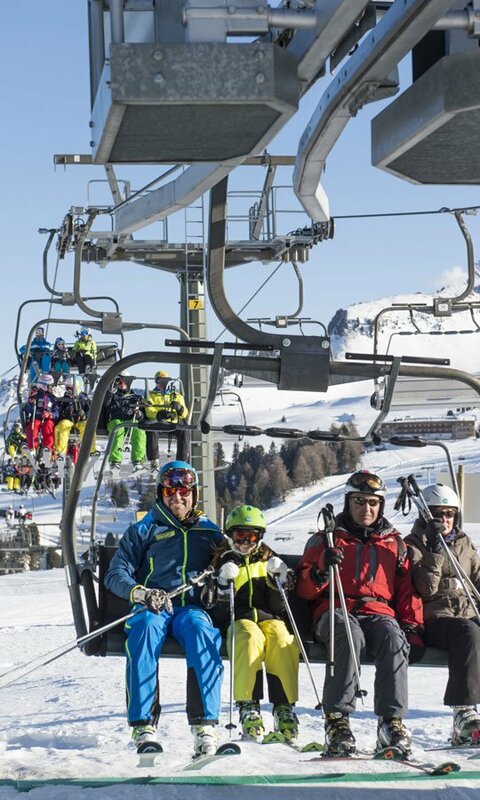 Several ski regions combine to offer you 12 great skiing areas with 1200 km slopes and 450 ski lifts! 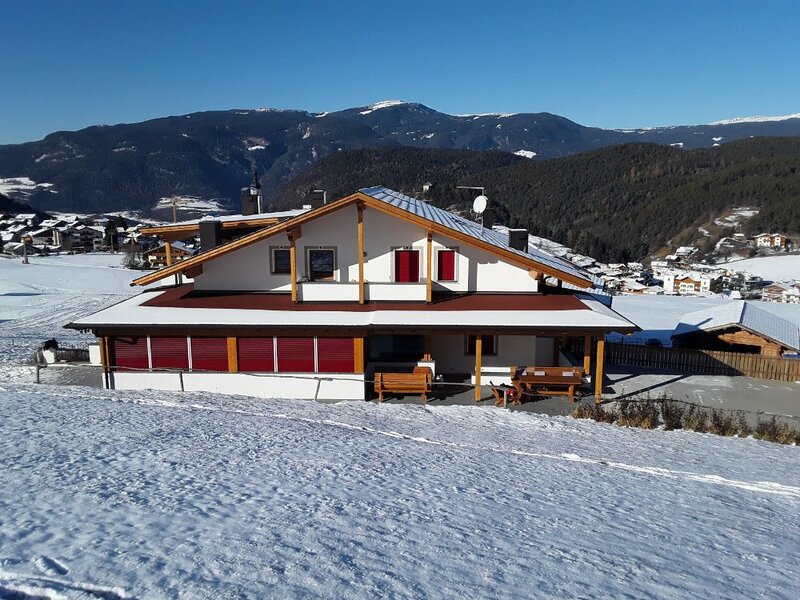 Endless skiing fun awaits you during your ski vacation on the farm Goldrainerhof.